Please indicate the serial number and year of purchase of your HIPAN Panel when ordering. 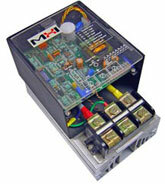 Single Phase SCR Power Controller for MHI HIPAN Panels. Standard: Adjustable soft-start (special for BPAN, IPAN, XPAN), adjustable current limit (special for BPAN, IPAN, XPAN),.